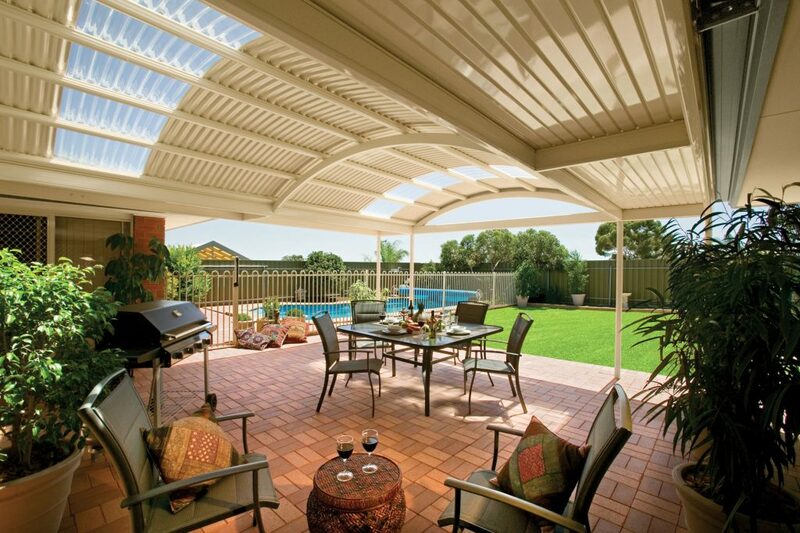 The Stratco Outback Curved Roof Patio is a unique, sleek, curved roof patio design with a contemporary flair, accentuated by its curved roof which arcs out above the veranda, transforming a drab under covered area into a luxury patio, carport or veranda. Give new life to an existing patio space with the addition of the stylish Brisbane curved roof patio from Stratco, a popular design from its unique Outback range. 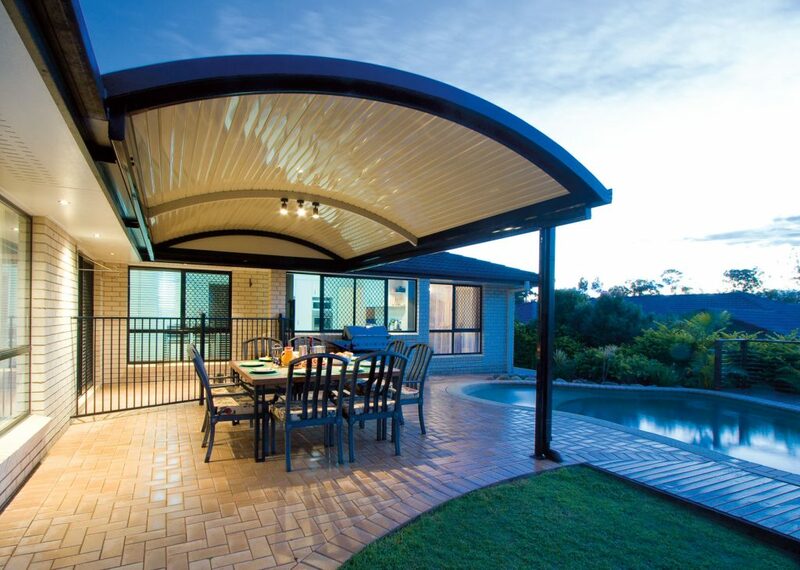 The sophisticated sleek lines of the curved roof patio top can be used either as a feature in conjunction with a flat roof patio or as a larger expanded design with a curved roof spanning up to 6.6 metres wide. 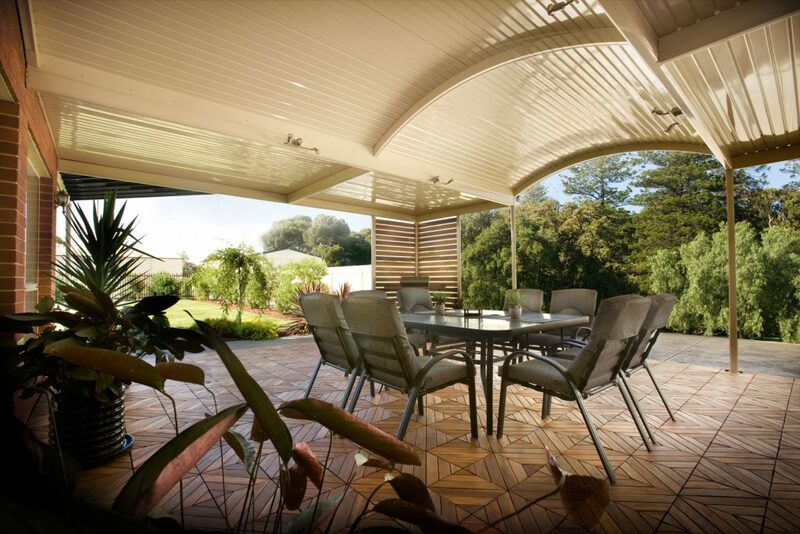 All of the quality stylish designs of the Stratco Outback range can be used in a variety of different configurations to create a space that is unique to the client, and perfectly suited to their own unique tastes. The choice of Outback Clearspan Curved Roof can be utilised as either a curbed roof veranda, curved roof carport, or a curved roof patio for maximum versatility of design with the sleekest of lines. Bring an indoor feel to an outdoor space with the unique Outback Multispan Curved Roof for a contemporary design that supports your choice of cladding. 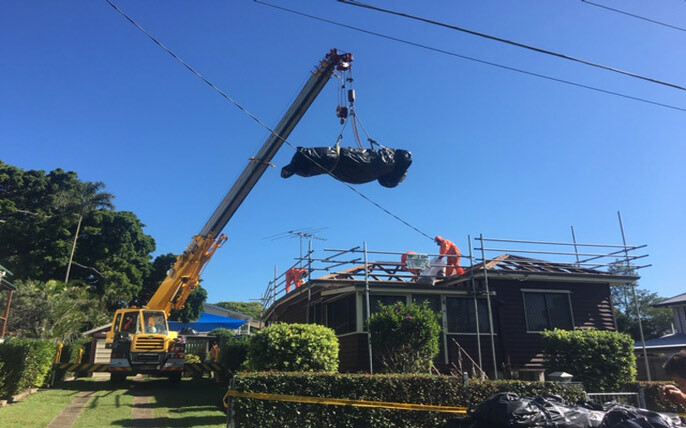 The addition of purlins placed over the roof rafters allows for the option of a poly carbonate cladding to allow extra light into the space, making it an excellent choice for day or night-time entertaining. 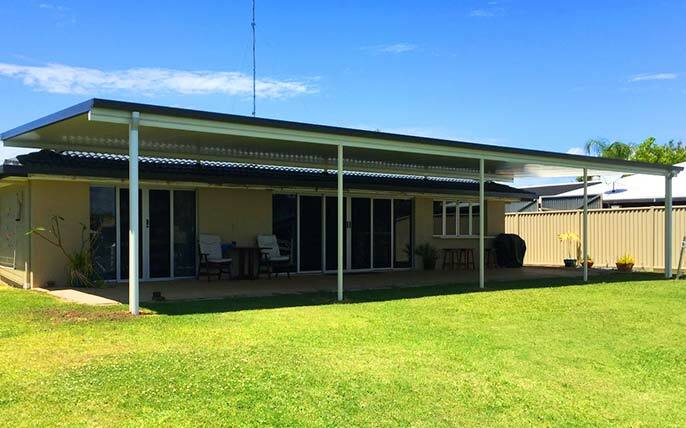 Or go for the classic look corrugated steel for that old style tin roof look to your curved roof veranda space. 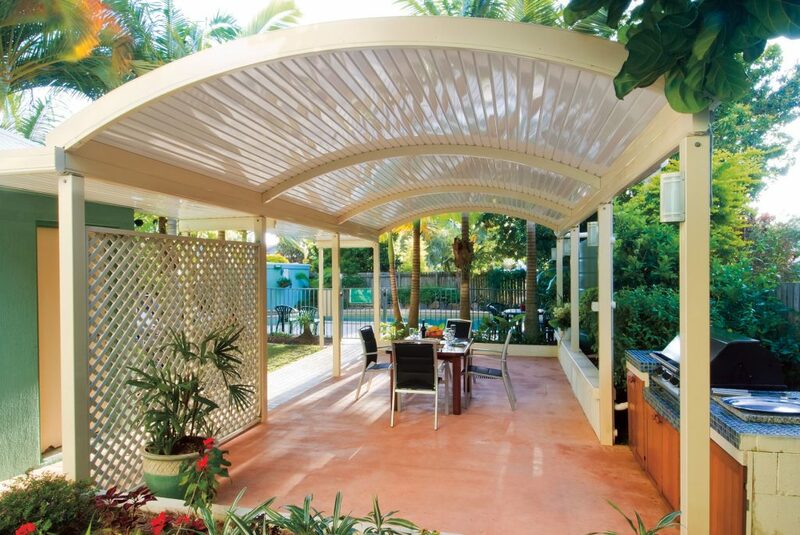 Add some lights and the space is instantly transformed into a curved roof carport that can be used day or night. 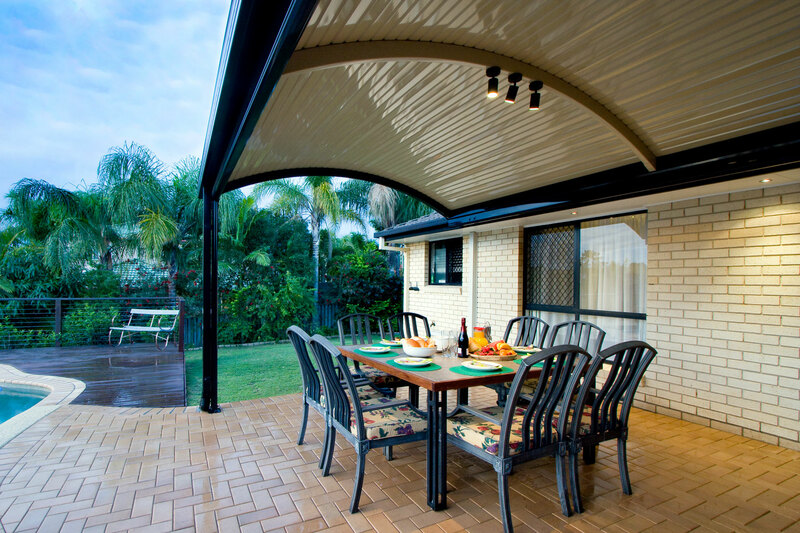 The unique design elements of the various pieces of the Stratco Outback range make them a versatile option to be used in a variety of different ways. 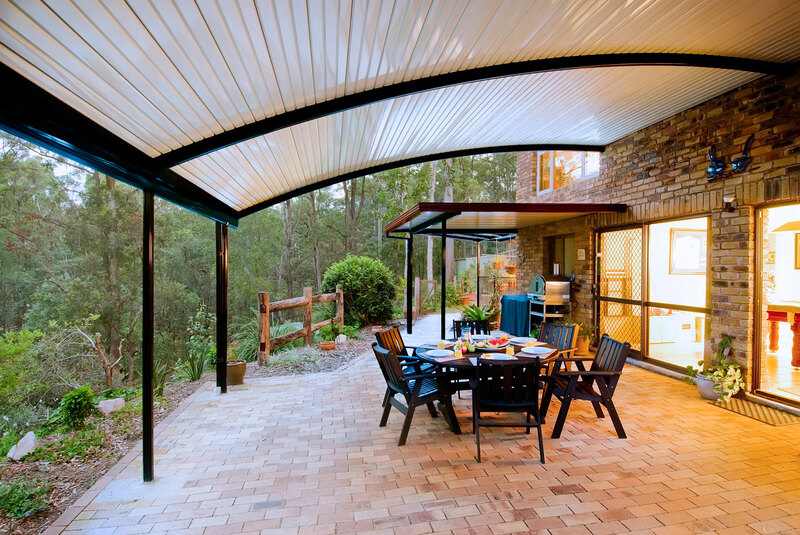 Talk to us today for ideas about how to create a freestanding or attached stylish curved roof patio, veranda or carport today.